It hardly matters under what label - including American “safety” and “security” - such a governing power is built; sooner or later, the architecture will determine the acts, and it will become more tyrannical at home and more extreme abroad. Thank your lucky stars that Edward Snowden made the choices he did. But here’s the kicker: he couldn’t be more aware of previous whistleblower cases, the punitive reaction of his government to them, and the fate that might be his. As a result, we now know, he has encrypted the full set of files in his possession and left them in one or more safe places for unknown individuals - that is, we don’t know who they are - to access, should he be taken by the US. In other words, from the time Edward Snowden’s first leaked documents came out, it was obvious that he was in control of how much of the NSA’s secret world would be seen. It would be hard then not to conclude that capturing him, imprisoning him, trying him, and throwing away the key is likely to increase, not decrease, the flow of those documents. Knowing that, the Obama administration and the representatives of our secret world went after him anyway - after one man on a global scale and in a way that may not have a precedent. No thought of future embarrassment stopped them, nor, it seems, did they hesitate because of possible resentments engendered by their heavy-handed pressure on numerous foreign governments. The result has been a global spectacle, as well as a worldwide debate about the spying practices of the US (and its allies). In these weeks, Washington has proven determined, vengeful, implacable. It has strong-armed, threatened, and elbowed powers large and small. It has essentially pledged that the leaker, former Booz Allen employee Edward Snowden, will never be safe on this planet in his lifetime. And yet, to mention the obvious, the greatest power on Earth has, as yet, failed to get its man and is losing the public opinion battle globally. Highlighted in all this has been a curious fact of our twenty-first-century world. In the Cold War years, asylum was always potentially available. If you opposed one of the two superpowers or its allies, the other was usually ready to open its arms to you, as the US famously did for what were once called “Soviet dissidents” in great numbers. The Soviets did the same for Americans, Brits, and others, often secret communists, sometimes actual spies, who opposed the leading capitalist power and its global order. Today, if you are a twenty-first-century “dissident” and need asylum/protection from the only superpower left, there is essentially none to be had. Even after three Latin American countries, enraged at Washington's actions, extended offers of protection to Snowden, these should be treated as a new category of limited asylum. After all, the greatest power on the planet has, since 9/11, shown itself perfectly willing to do almost anything in pursuit of its definition of “security” or the security of its security system. Torture, abuse, the setting up of secret prisons or “black sites,” the kidnapping of terrorist suspects (including perfectly innocent people) off the streets of global cities and in the backlands of the planet, as well as their “rendition” to the torture chambers of complicit allied regimes, and the secret surveillance of anyone anywhere would only start a far longer list. Nothing about the “international manhunt” for Snowden indicates that the Obama administration would be unwilling to send in the CIA or special operations types to “render” him from Venezuela, Bolivia, or Nicaragua, no matter the cost to hemispheric relations. Snowden himself brought up this possibility in his first interview with Guardian columnist Glenn Greenwald. “I could,” he said bluntly, “be rendered by the CIA.” This assumes that he can even make it to a land of exile from somewhere in the bowels of the international terminal of Moscow's Sheremetyevo airport without being intercepted by Washington. This sort of deterrence already seemed increasingly extreme in nature; the response to Snowden's revelations took it to a new level. Though the US government pursued WikiLeaks founder Julian Assange abroad (while reportedly preparing to indict him at home), the other whistleblower cases might all be considered national security ones. The manhunt against Snowden is something new. Through it, Washington is now punitively expanding twenty-first century deterrence theory to the world. The message is this: nowhere will you be safe from us if you breach US secrecy. Snowden’s will surely be a case study in how far the new global security state is willing to go. And the answer is already in: far indeed. We just don’t yet know exactly how far. In this light, no incident has been more revealing than the downing of the plane of Bolivian President Evo Morales, the democratically elected head of a sovereign Latin American nation, and not an official enemy of the United States. Angry Bolivian authorities termed it a "kidnapping" or "imperialist hijack." It was, at the least, an act for which it’s hard to imagine a precedent. Evidently officials in Washington believed that the plane bringing the Bolivian president back from Moscow was also carrying Snowden. As a result, the US seems to have put enough pressure on four European countries (France, Spain, Portugal, and Italy) to force that plane to land for refueling in a fifth country (Austria). There - again, U.S. pressure seems to have been the crucial factor -- it was searched under disputed circumstances and Snowden not found. So much is not known about what happened, in part because there has been no serious reporting from Washington on the subject. The US media has largely ignored the American role in the downing of the plane, an incident regularly described here as if the obvious hadn’t happened. This may, at least in part, be the result of the Obama administration’s implacable pursuit of whistleblowers and leakers right into the phone records of reporters. The government has made such a point of its willingness to pursue whistleblowers via journalists that, as Associated Press President Gary Pruitt recently pointed out, national security sources are drying up. Key figures in Washington are scared to talk even off the record (now that “off” turns out to be potentially very “on”). And the Justice Department’s new "tighter" guildelines for accessing reporters’ records are clearly filled with loopholes and undoubtedly little more than window dressing. Still, it’s reasonable to imagine that when Morales's plane took off from Moscow there were top US officials gathered in a situation room (à la the bin Laden affair), that the president was in the loop, and that the intelligence people said something like: we have an 85% certainty that Snowden is on that plane. Obviously, the decision was made to bring it down and enough pressure was placed on key officials in those five countries to cause them to bow to Washington's will. One can certainly imagine that, but know it? 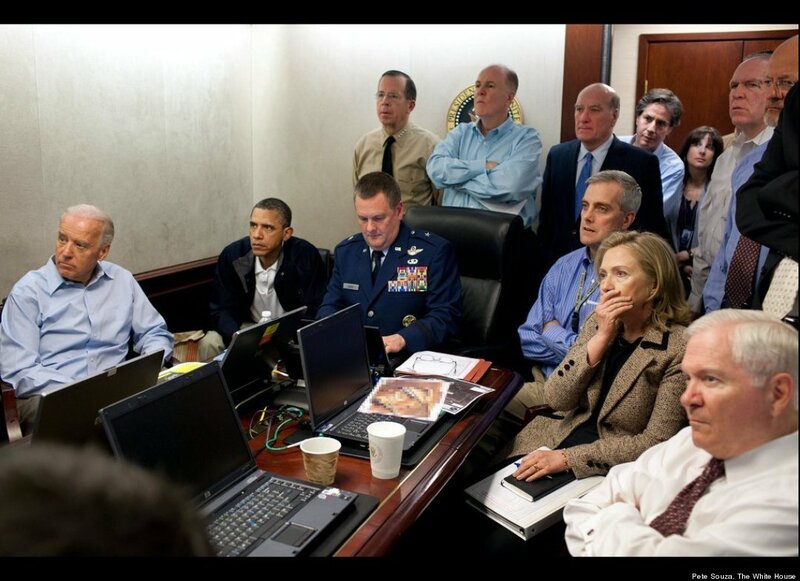 At the moment, not a chance and, unlike in the raid that killed bin Laden, a triumphant situation-room photo hasn't been released, since there was, of course, no triumph. Many questions arise. Why, to mention just one, did Washington not allow Morales’s plane to land for refueling in Portugal, as originally planned, and simply strong-arm the Portuguese into searching it? As with so much else, we don’t know. We only know that, to bring five countries into line that way, the pressure from Washington (or its local representatives) must have been intense. Put another way: key officials in those countries must have realized quickly that they stood in the way of a truly powerful urge by the planet's superpower to get one fugitive. It was an urge so strong that it overrode any other tactical considerations, and so opened the way for Venezuela, Bolivia, and Nicaragua to offer asylum to Snowden with the support of much of the rest of Latin America. Imagine for a moment that an American president’s plane had been brought down in a similar fashion. Imagine that a consortium of nations pressured by, say, China or Russia, did it and that, with the president aboard, it was then searched for a Chinese or Soviet “dissident.” Imagine the reaction here. Imagine the shock. Imagine the accusations of “illegality,” of "skyjacking," of “international terrorism.” Imagine the 24/7 media coverage. Imagine the information pouring out of Washington about what would no doubt have been termed "an act of war." Of course, such a scenario is inconceivable on this one-way planet. So instead, just think about the silence in the US over the Morales incident, the lack of coverage, the lack of reporting, the lack of outrage, the lack of shock, the lack of... well, just about anything at all. Instead, the twenty-first-century version of deterrence theory ruled the day, even though Snowden is the proof that deterrence via manhunts, prosecution, imprisonment, and the like has proven ineffective when it comes to leaks. It’s worth pointing out that what may be the two largest leaks of official documents in history -- Bradley Manning’s and Snowden’s - happened in a country increasingly under the sway of deterrence theory. No less strikingly - and again, we know so little that it’s necessary to read between the lines - Lichtblau indicates that more than six “current and former national security officials,” perhaps disturbed by the expanding powers of the FISA court, discussed its classified rulings "on the condition of anonymity.” Assumedly, at least one of them (or someone else) leaked the classified information about that court to him. Fittingly enough, Lichtblau wrote a remarkably anonymous piece. Given that sources no longer have any assurance that phone and email records aren’t being or won't be monitored, we have no idea how these shadowy figures got in touch with him or vice versa. All we know is that, even when shining a powerful light into the darkness of the surveillance universe, American journalism now finds itself plunging into the shadows as well. Such a shadow government placing its trust in secret courts and the large-scale surveillance of populations, its own included, while pursuing its secret desires globally was just the sort of thing that the country’s founding fathers feared. In the end, it hardly matters under what label - including American “safety” and “security” - such a governing power is built; sooner or later, the architecture will determine the acts, and it will become more tyrannical at home and more extreme abroad. Welcome to the world of the single rogue superpower, and thank your lucky stars that Edward Snowden made the choices he did. We have now experienced deterrence theory in two centuries. Once it was brought to bear to stop the wholesale destruction of the planet; once - and they do say that if the first time is tragedy, the second is farce - to deter a small number of whistleblowers from revealing the innards of our new global security state. We came close enough to total tragedy once. If only we could be assured that the second time around it would indeed be total farce, but at the moment, as far as I can tell, no one’s laughing. This piece, published on July 16, 2013, is reposted from TomDispatch.com with that site's permission.